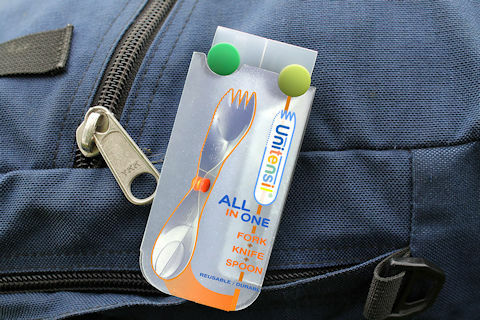 Home>NEW ARRIVALS > Unitensil 3-Pack: All-in-One, Portable, Foldable, Lightweight Utensil- Made in USA! Highly recommended for travel. 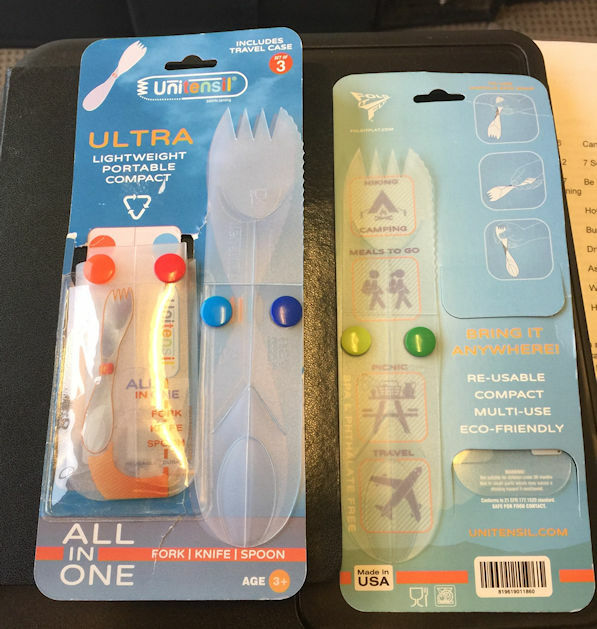 You'll always have utensils at the ready. What the heck is a unitensil? 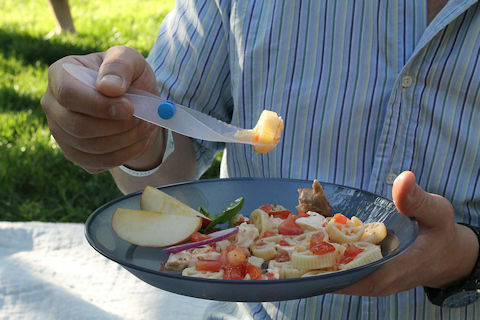 Unitensil is a portable, all-in-one eating utensil that functions as a fork, spoon and serrated knife. It comes in a handy carrying case and snaps together in ONE second for use. 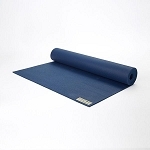 Perfect for camping, hiking, travel and anytime you're on the go. Does it work? You bet. We used ours on a recent trip and it came in handy! The company owner is very proud that he has sourced all of the various components of the Unitensil in the USA for final assembly in Brooklyn, NY. 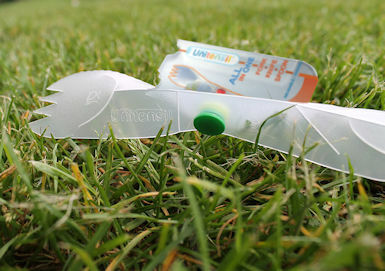 He has also worked hard to ensure the product is sustainable w/ minimal wasteful packaging. COMES WITH 3 UNITENSILS: PUT ONE IN YOUR PURSE, BACKPACK, GLOVE COMPARTMENT, WHEREVER! 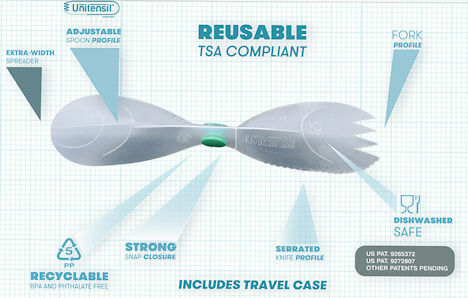 Very handy for travel. You'll be glad you have it on the plane and sightseeing on the ground. AND in the hotel room! Sometimes you just can't get a spoon or don't want to stumble around or wait for one. You're always covered w/ Unitensil!